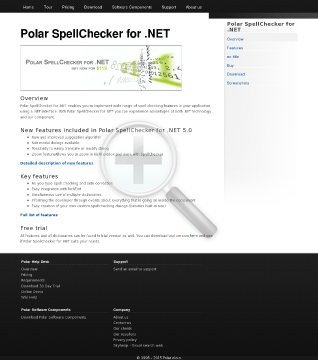 Polar SpellChecker Component adds SpellChecking capability to your Windows and Web based applications supporting ActiveX/COM, DLL and .NET interface. 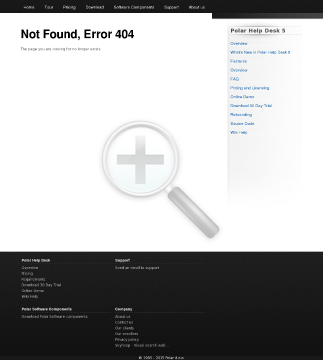 It includes 14 free-to-download dictionaries fully functional with the trial version. 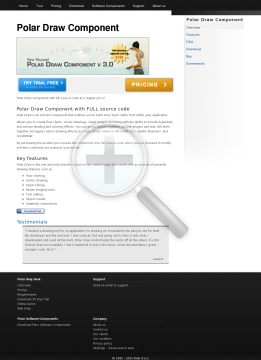 Full source code is included at no extra cost! 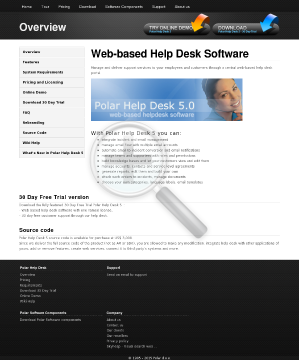 Built-in features make Polar SpellChecker Component the best choice for all developers; it is intuitive to use, yet rich with SpellChecking functionality. Contact Hunter – Easy find all public email addresses. Direct access to all the web’s email addresses. Search among 150M+ records in seconds. Contact Hunter is service for contacts information about company and person. Compression and Encryption components. 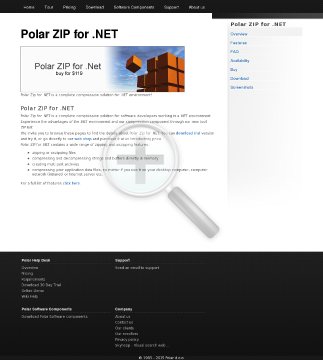 The bundle enables you to combine advantages of Polar ZIP and Polar Crypto Components. Easily add spell checking functionality to your web pages and web applications. 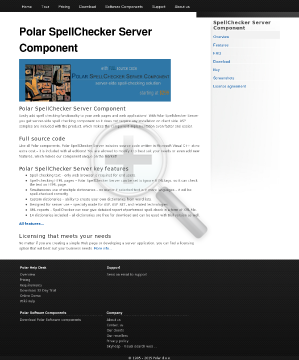 With Polar Spellchecker Server you get server-side spell checking component so it does not require any installation on client side. 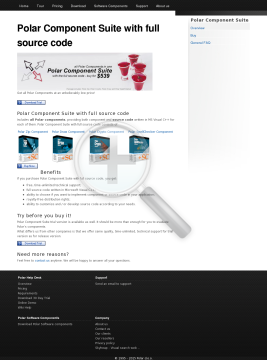 ASP samples are included with the product, which makes the component implementation even faster and easier. Polar Draw is an ActiveX Component that enables you to build Visio-style charts from within your application. Allows you to create flow charts, vector drawings, raster images and more with the ability to include hyperlinks and various shading and coloring effects. You can group objects together, include images and text, link them together and apply custom drawing effects to create charts similar to Microsoft Visio, Adobe Illustrator, and CorelDRAW. 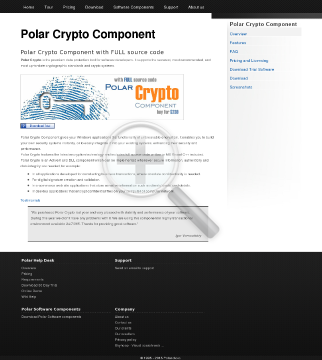 Polar Crypto Component gives your Windows applications the functionality of unbreakable encryption. It enables you to build your own security systems instantly, or to easily integrate it into your existing systems, enhancing their security and performance. 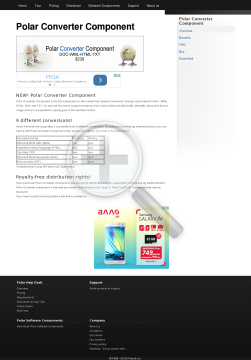 Polar Converter Component supports conversion among 4 document formats – WML, HTML, DOC and TXT. It doesn’t require Word installed, like some other products, in order to convert files from and to DOC or XML format. Conversion is done exclusively by this component. 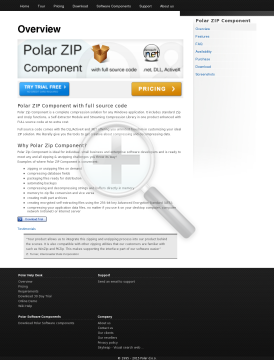 Polar Component Suite with full source code consists of: compression, encryption, drawing and spell checking components. Includes both component and source code written in MS Visual C++ for each of the listed components.